They miss their homes, their village churches, and the life they had in their communities. They fled ISIS, but they can’t flee the winter. 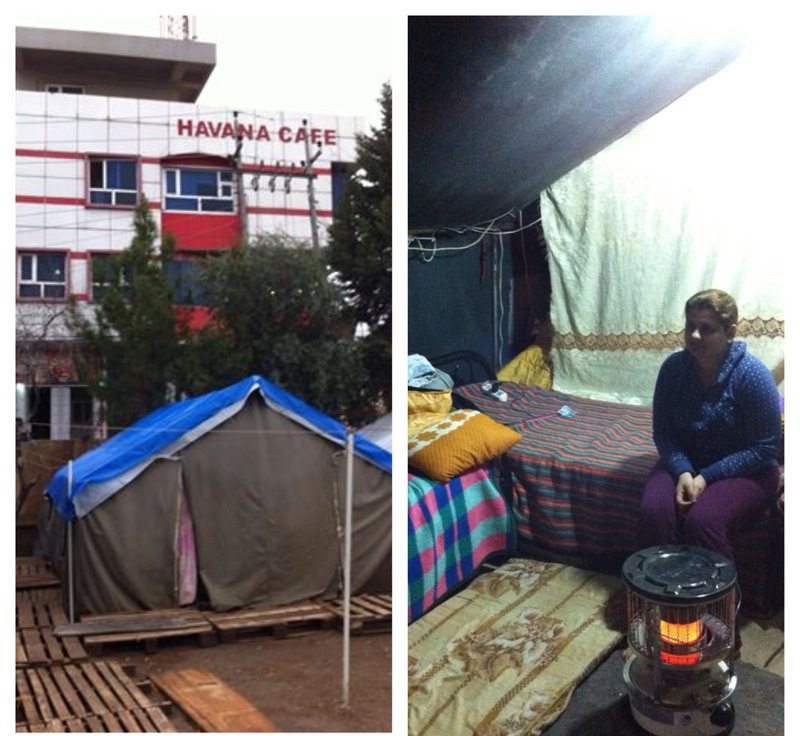 They are cold and holed up in abandoned building or small tents. Many are stuck in makeshift quarters so small that tensions can run high among families with nothing to do and no schools for the kids. That’s just part of Chris Seiple’s firsthand, snapshot look at winter life setting in for religious refugees in Northern Iraq, where he and his team recently met with many now-displaced families who have fled ISIS, mostly Christians but also other religious minorities and Muslims as well. Chris is the president of the Institute for Global Engagement and, like many others, I’ve followed his recent trip, whose mission further assessed the tragedy on the ground and delivered goods and hope from the Cradle of Christianity Fund. Some families I visited, he wrote, are living in places where they can’t use the kerosene heaters because the walls are flammable, and for others the donated electric heaters overload an electric system not designed for use by so many for refugee families. So the power frequently goes out. In a previous post, I told the amazing story about how the Cradle of Christianity Fund began – a truly remarkable initiative created to rescue and restore displaced and endangered Christian communities in the Middle East and to provide support for members of other affected communities as well. So I won’t take time to echo that story here. I do want to say that I have been impressed by the amount of shares that post evoked – Thank you for that! – and by stories of support I’ve heard. One comes immediately to mind – the creative way in which one person turned the tables on ISIS, which has been spray-painting the Arabic letter “n” on Christian homes and churches. After doing a little research about that, she used the symbol to give a short talk to her Methodist church to raise support for the Cradle Fund. “Unlike the Passover blood which saved the Jews,” she told me, “this ISIS letter marks Christians for death or exile if they will not convert. I had a wonderful response” and we sent a check. Until I heard from Chris about the Cradle Fund, everyone I spoke to about helping these displaced families was at a great loss about how to do that. We were here. They were there. And there was no bridge that we knew of. Now there is. So I’ll conclude here simply by wearing my heart on my sleeve to ask you to support the Cradle Fund. There are various way to do that. And also, do alert others, perhaps just by sharing this post with them. IGE is very relationally oriented. Its biblical praxis of “relational diplomacy” combined with “principled pluralism” is deeply wisdom-based and has led to tremendous breakthroughs where other paradigms have failed in the vital field of Track Two diplomacy. This gives IGE a lot of street cred in the Middle East. As a result, Chris and his team are working directly with many well-established contacts across the spectrum of Middle East churches and organizations in order to get aid from the Cradle Fund directly to tens of thousands of displaced Christians and members of other affected communities. The Syrian Aid Society, Eastern Patriarchs, and Canon Andrew White of Iraq, whose NGO is a Cradle Council Member, are just a few of them. Other posts and updates on this blog about the Cradle Fund: The Cradle Fund: Helpless No More /// This Winter Weather Is No Joke /// The Cradle Fund: A Bridge for Shalom in the Middle East /// The Cradle Fund: Getting Thousands Safely Through a Middle East Winter. Above photographs courtesy of the Institute for Global Engagement. Use of these photos does not suggest endorsement. 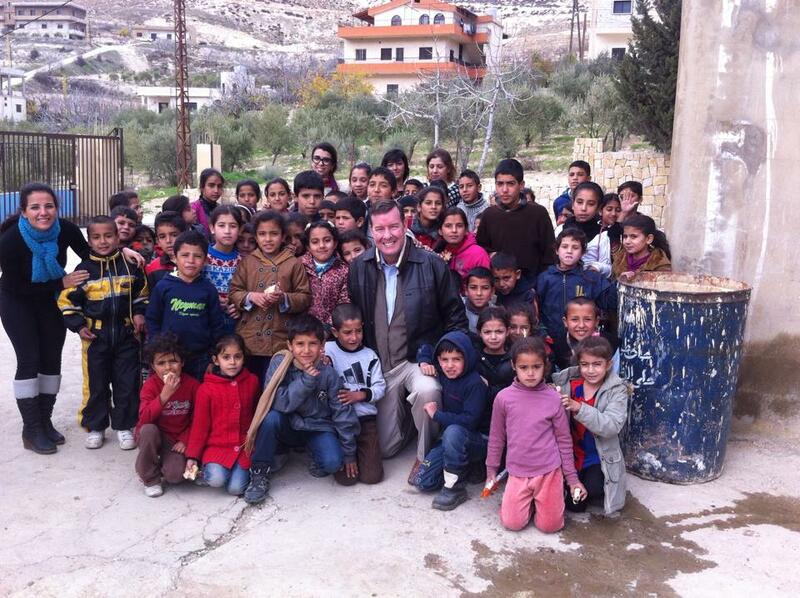 Top photo: Chris Seiple at a refugee school in the Bekaa Valley, Lebanon (all these children had lost at least one parent and seen things from beheadings to kidnappings, which no child should ever see). Middle: Makeshift tent housing in Northern Iraq. 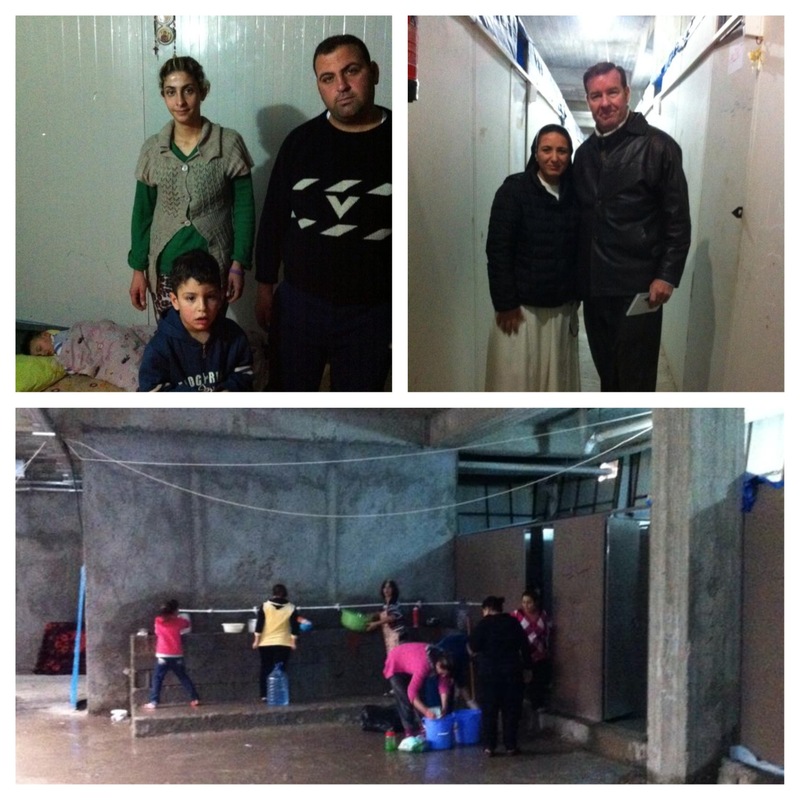 Bottom: Chris (top right) with displaced families living in Northern Iraq. This entry was posted in CRADLE OF CHRISTIANITY, SPECIAL PROJECTS, WISDOM & COMMON GOOD and tagged Andrew White, Chris Seiple, Christian refugees in Middle East, Cradle Fund, Cradle of Christianity Fund, Institute for Global Engagement by Charles Strohmer (c) 2014. Bookmark the permalink.